Well hello there Blog Land! Long time gone…sorry about that…still getting tons of stuff situated at my new place…but things are definitely coming along! OK>>>>so here it is…that time of the month where the wPlus9 Design Team gives you some “Sneak Peeks” of what to set on your wish list for next month’s release!! I can’t believe it’s almost April?!? Can you? This super multi-functional set has not only gorgeous daffodils, tulips and beautiful sentiments…but it is perfect for every woman in your life…from mother, grandmother, sister…etc. I am just swooning over this set that Dawn illustrated…just jaw dropping beautiful! 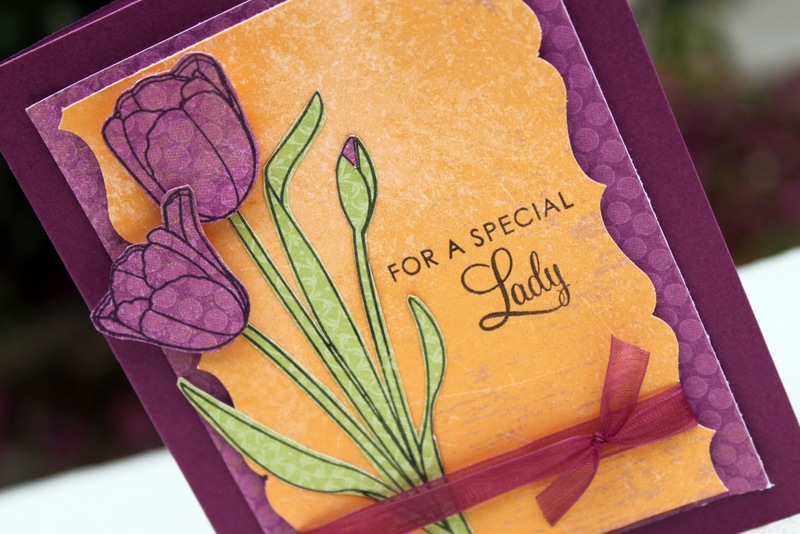 I had a blast paper peicing the beautiful tulip included in the set. This color combo was inspired by my latest issue of Real Simple magazine…one of those “out of my boundaries” color styles that I just LOVE! These colors are so vibrant and this card is so versatile for just about any occasion. Lea – Our Newest Member! Paulina – Our Guest Designer for April! And make sure to check back the rest of the week for all of the Sneak Peek’s for this Release! Thank you as always for stopping by! Oh…and a HUGE thank you to Courtney for picking me for the Practicing Creativity Sketch Challenge for this card…So flattered 🙂 Make sure you check out all the other entries for that fun sketch! POSITIVELY breathtaking use of color and OH, my! THOSE stamps are absolutely alive in your capable hands! THIS is some SERIOUSLY exquisite work, friend! HUGE congrats on your move AND also… Noticed your BEAUTIFUL card showcased on Courtney's blog! WAhooooo! YOU are wonderful! Enjoy your new digs, sweet pea! This is so pretty, Kerrianne!! I love the color combo you used, and the punched borders are a perfect touch!! this is lovely, love your color combination and and layout. Oh, these colors are so beautiful and bright and happy! Just stunning, Kerrianne! Love those colors, and congrats by the way on winning the Practicing Creativity sketch challenge. That sentiment is perfect for so many people! Love your card, gorgeous colors! Kerrianne, this card is utterly fabulous! 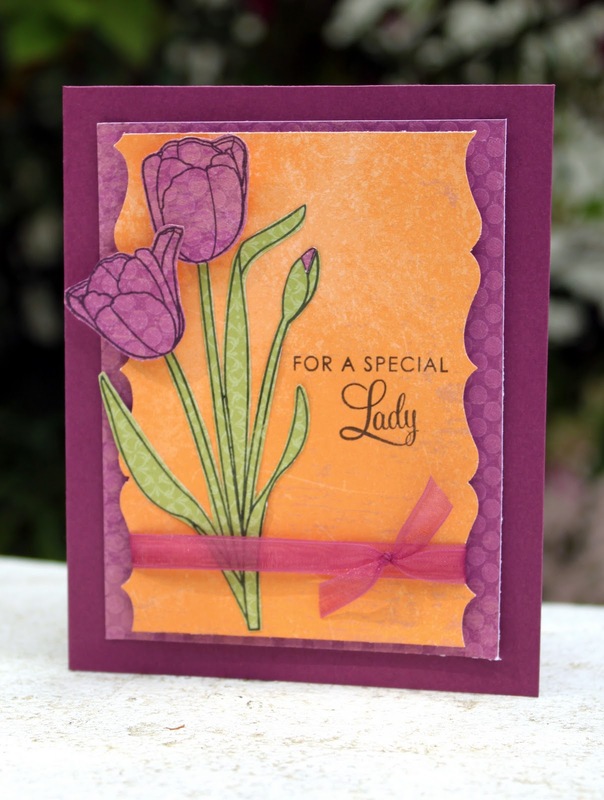 Love those pretty paper pieced tulips!